With snow coating much of the north, Erin from Earrings Everyday has been yearning for the greens of spring. As such, she ensured that she'd see some green by issuing the We're All Ears Challenge theme: Leaping Greenly. I have to admit that I don't share her sentiments exactly. Here, it's been above 75 degrees for much of the month. I'm seriously beginning to worry about how hot the summer is going to be. I may melt. In any case, I couldn't help participating as I do love the color green. Lacking much time this month, I turned again to the laser cut wood connectors that Michelle Mach sent me to play with. I've been itching to test out the chandelier earring design I sketched up weeks ago. This seemed like a great opportunity. First, I had to pick out the beads. 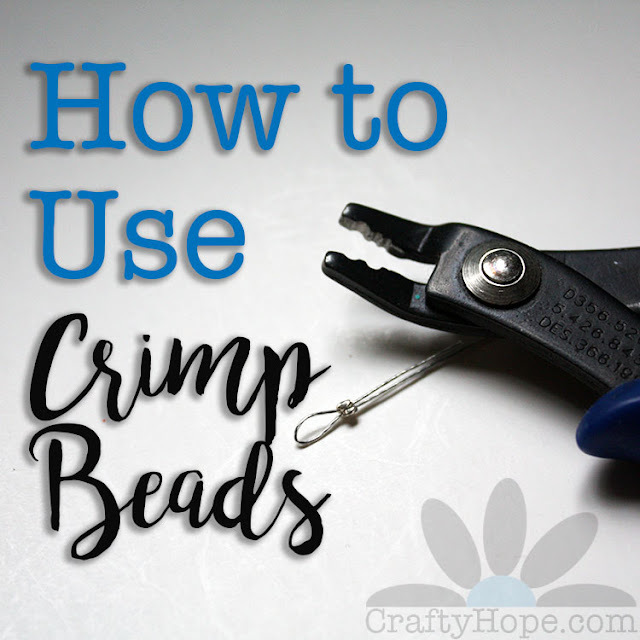 Knowing that I would need twelve beads, I was dismayed to find that there were only eleven beads in either of the sets of beads I wanted to use. To remedy this, I quickly decided that the large ones would hang in the center of the connectors with the smaller ones making up the dangles from the bottom. I adore this shade of green. It really screams of spring to me. It's the same shade of the leaves before they begin to darken and settle into their darker, summer green. I knew that it would take a little work to get the center beads to hang right, but the use of oval jump rings with the round ones worked out perfectly. Antiqued brass findings were used to match the wood and allow the green beads to really shine and show their true color. And, because things around here have been a little crazy, that's all I got made. 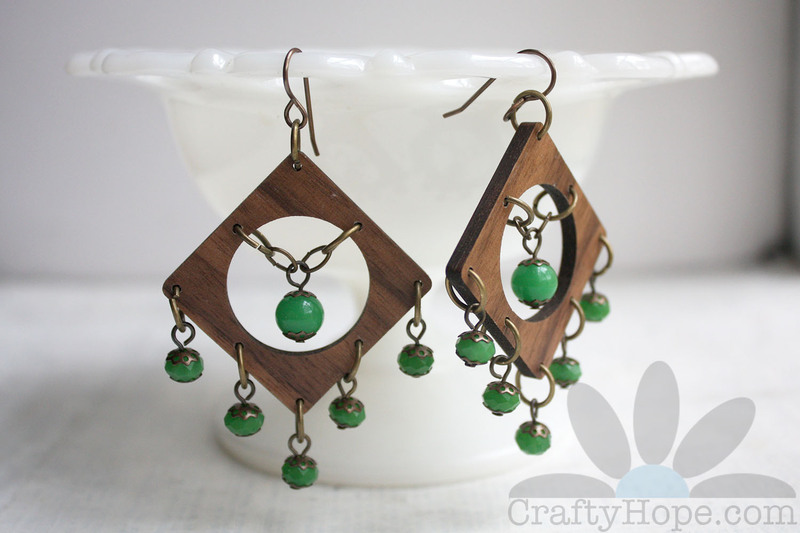 I really had hoped to bust out a few more green earrings, but am so happy to have tried out this design and that it actually worked! Make sure to head over to Earrings Everyday for the reveal and to see what Erin and other designers created. Very creative and interesting earrings. 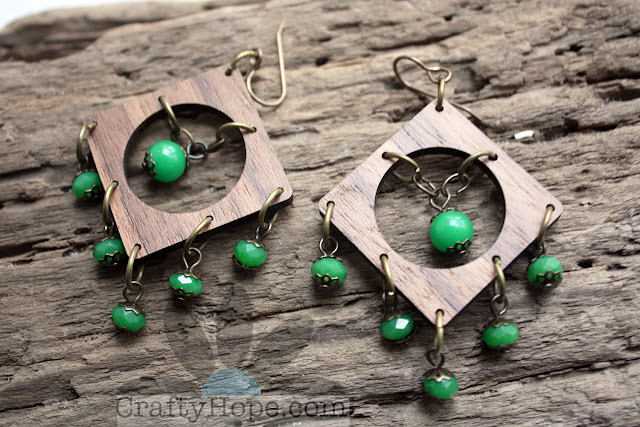 The wood components really show off the beads and dangle beautifully. I love the beads that you used. The color is perfect for the challenge. Your design is wonderful. Anita, I'm so happy this was the challenge I chose to use more of those wood connectors as I'm not sure I would have put green together with them otherwise. It's not what was in my head when I sketched the idea, but I'm so happy this is how it came together. I'm glad you like them too. Thank you!! Hope, I really love these earrings. They are screaming spring.. That shade of green is gorgeous. 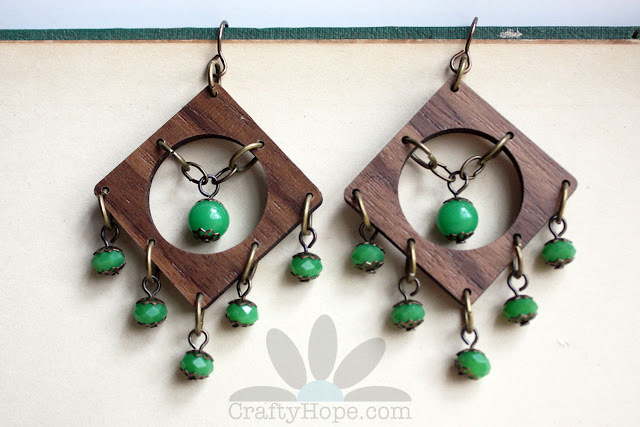 Another lovely use of wood squares after the robin pendant. 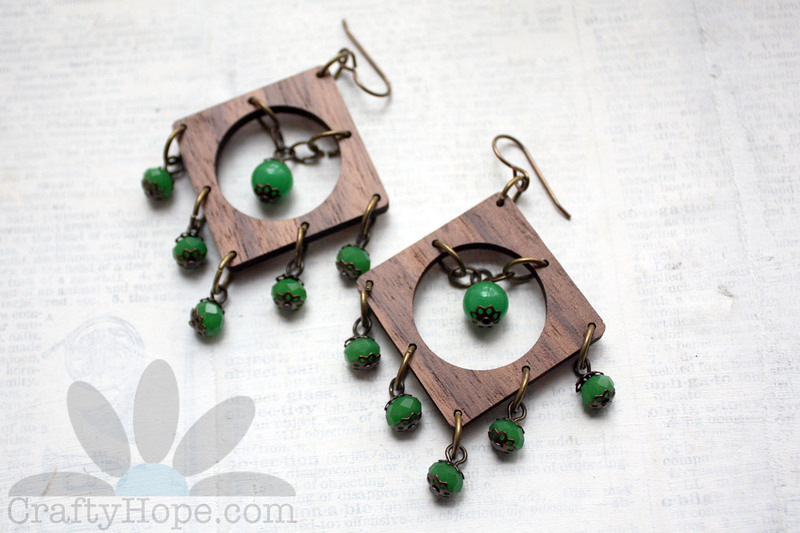 As a bohemian soul, I find wooden jewelry in general to be timeless and classic. PS: Your comment box does not load many a times. Please check to see if there are any bugs. Those are really fun, Hope! Such a different application of the wooden frames than what you did for the last Honey Do List. 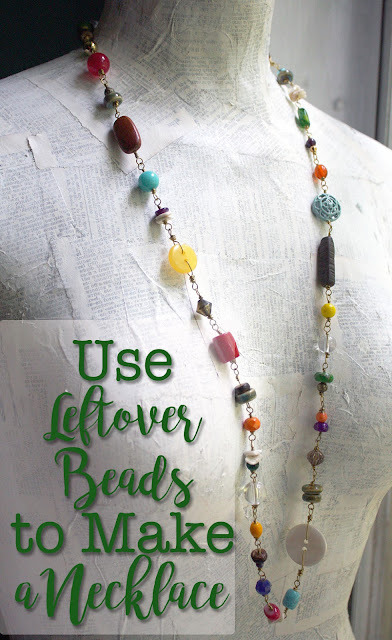 I love the design you came up with and those bright green beads! Thanks Sarajo! I have more ideas for those wood connectors than I have wood connectors that Michelle sent me to try out. This chandelier style was one of the first ones, and one that I was super excited to get to make it finally. I'm so glad you like them too. And, yes, those green beads are so fun! Love, love love these earrings! Well done!